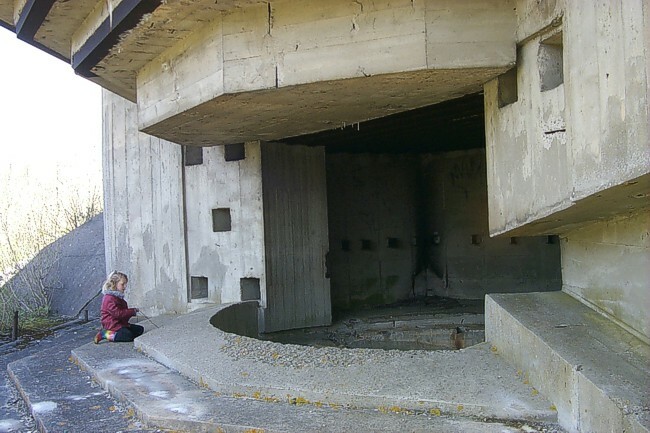 This battery was called Batterie Nord and manned by 12./HKAR 1245. The D 940 goes from Berck to Merlimont. Halfway there is a crossing with the D 140. Park here and you find the battery in the triangle just south of the roads. Approach the site from the west, were the D 940 makes a small turn. The casemates have building strength A. "The beauty and the beast" featuring miss Stephanie Bos as the beauty.